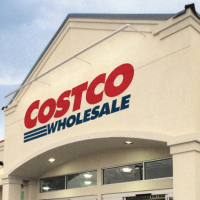 Calling all Costco members! Get a head start on Costco’s latest instant coupon savings valid starting today August 9th through September 2nd. I spotted great deals on Cetaphic cream, Colgate toothpaste, Frito-Lay chips variety pack, KitchenAid stand mixer, Olay serum, Red Bull, Welch’s fruit snacks and much more! Most of you will receive the coupon booklet in your mailbox very soon if you haven’t already. Stock up!